enter the god's hammer #givingtuesday giveaway! As a thank you to readers, I am kicking off the "God's Hammer #GivingTuesday Giveaway". 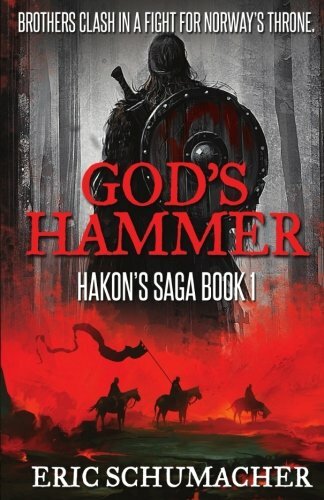 From today (Nov 21) until next Tuesday (#GivingTuesday), you can sign up to win one of five (5) ebook copies of God's Hammer. To enter, please fill out the entry form below. Only readers in the US are eligible. Entries will be accepted from 9AM Pacific on Nov 21, 2017 until 11:59PM Pacific on Nov 28, 2017 (aka #GivingTuesday). For more information on God's Hammer, please visit the book's page.